How can decision journey mapping help? eCommerce is not simply a new chapter in the traditional consumer goods branding and marketing playbook. Online shopping penetration is higher than 60% in developed markets and is rapidly growing in developing markets like India and China. Unsurprisingly, today’s path to purchase is in a state of flux. Digital consumers shop differently and, as a result, eCommerce marketing has different requirements for success than brick-and-mortar marketing. That’s not to say that marketers should abandon traditional offline marketing strategies entirely. However, the key is uncovering how offline triggers, touchpoints and channels impact the eCommerce shopper journey and vice versa. The big omnichannel challenge for brands and retailers alike is not only to deliver a consistent shopping experience both online and offline, but in understanding how the two paths intersect and impact each other. Every CPG category consumer is different, with diverse touchpoints impacting their ultimate purchase decision. Do you know which triggers have the greatest opportunity to convert certain shoppers in favor of your brand over the competition? Your marketing and brand strategies need to reflect the way today’s consumers shop. Marketing campaigns that were impactful two years ago may not yield the same results today. To succeed in this quickly evolving eCommerce world, you can’t afford to rely on outdated, pre-omnichannel customer assumptions. What are the triggers leading the shopper to buy, for example, and what are the common barriers? These are the key ideas that may stop a consumer along their decision journey or help them to continue that journey to actual purchase. Brands must also consider all offline and online touchpoints, which can be anything from word of mouth, to coupons or potentially search on a site. You should consider how the consumer interacts with your brand and retailers during their shopper journey, but also pre- and post-journey. In short, can you say with confidence that you know how your customers shop in today’s digital world? Why do they not remain loyal once you’ve converted them? Decision behavior mapping is the solution, giving visibility into the complex and dynamic ways consumers are shopping and uncovering opportunities to refine or optimize the acquisition, conversion and retention strategies for your brand. Before you can start mapping the customer journey, you need to select an appropriate framework. In the rush to gather customer data and draw insights, journey frameworks can easily be overlooked. But the right framework is integral to understanding the decisions your customers make. 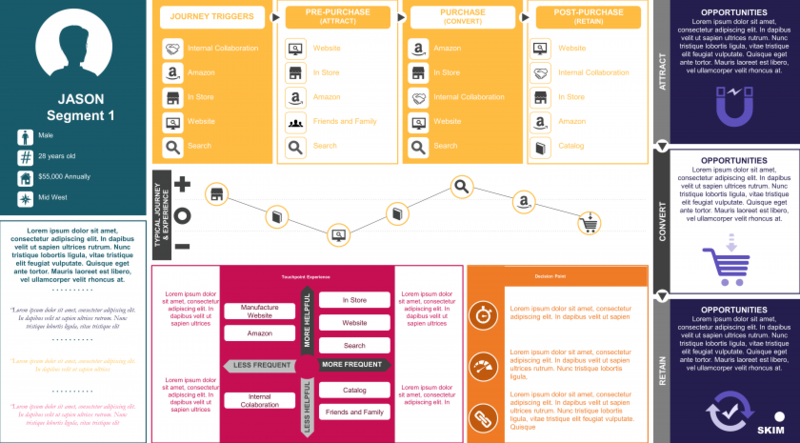 Think of the journey framework as the scaffolding on which the consumer journey is built. Selecting the right one is important because it influences how to optimize your brand performance along these journeys. 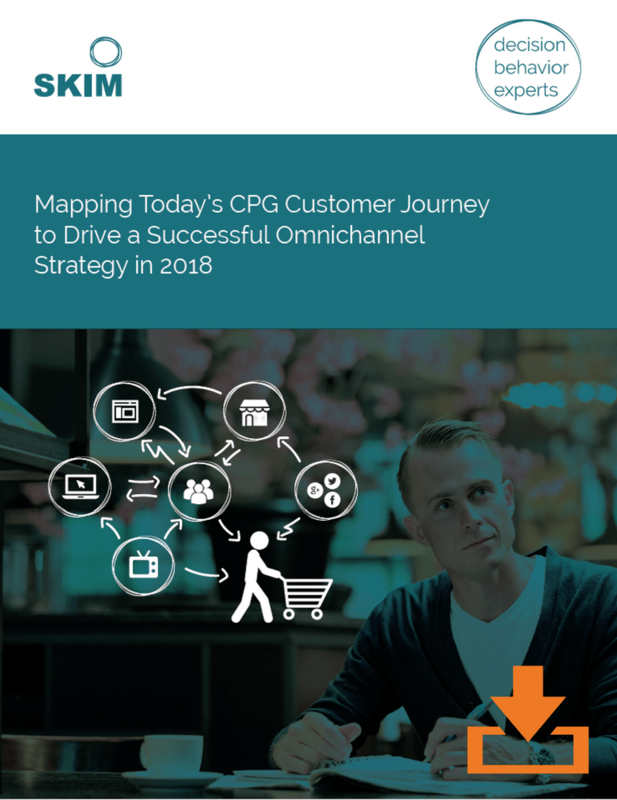 We’ve identified four key frameworks for mapping the decision journey, but based on our experience with omnichannel strategies, there’s really only one journey framework we recommend to CPG brand and insights managers: The (disrupted) habitual journey. Omnichannel optimization is a two-phased approach that begins outside the organization and ends inside the organization. Phase one is when you map the customer journey. We recommend a five-step process to success. If you’ve selected a decision journey framework, then you’ve already completed step one. In our whitepaper we explore the next steps you should take—breaking down the decision journey into triggers and barriers, imagining the consumer’s ideal journey, creating (or improving) shopper profiles, and giving consideration to key retail stakeholders. After the customer decision journey is established, the internal journey begins. CPG brand teams and insights managers that are reaping the most gains in this complex and dynamic digital world are those that take customer journey insights and put that information to work. But how exactly do you do that? We found that the most successful omnichannel implementations drive transformation across e-commerce, retail, brick-and-mortar, brand, and marketing insights teams by employing seven key strategies: socializing, synthesizing, rapid testing and learning, establishing digital content guidelines, managing online portfolios, leveraging emerging research techniques and data, and keeping up with emerging shopping solutions. The slow uptake of e-commerce in the pet care sector presented Mars Petcare with a challenge. Online sales were increasing, but not at the same rate as other CPG categories. Existing research had helped them to understand the base of the online consumer, but they didn’t understand what their omnichannel customer looked like or how their journey differed. This is where customer journey mapping came in. 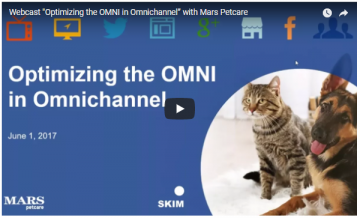 Through a blend of SKIM qualitative and quantitative research into how the pet care consumer was making cross-channel decisions, Mars Petcare was able to uncover insights around the triggers, barriers, and touchpoints that created e-commerce opportunities for their brand. By workshopping their findings across their various teams, they made sure the insights were incorporated into the relevant strategies and action points, where they had the opportunity to drive observable business results. Ready to map your customer's decision journey today? Contact us and we'll help reveal the most impactful decision points you should focus on to achieve omnichannel success this year.